Ventolin Ventolin (Salbutamol) is a selective β2-adrenoreceptor agonist. In therapeutic doses, it acts on the β2-adrenergic receptors of bronchial smooth muscles, having little or no effect on the β1 -adrenoreceptors of the myocardium. It has a pronounced bronchodilatory effect, preventing or relieving bronchospasm, reduces resistance in the airways. It also increases lung capacity and mucociliary clearance (with chronic bronchitis up to 36%), stimulates the secretion of mucus, activates ciliated epithelium function. Proventil Proventil (Albuterol) is used to relieve the tightening and swelling of the airways muscles (bronchospasm) in children and adults suffering from this condition. It is also used for the prevention of exercise-induced asthma. Advair Diskus Advair Diskus (fluticasone propionate and salmeterol) is a long-term therapy for such attacks. It is prescribed for patients having any symptoms of asthma or COPD. The dosage is specified by a doctor. 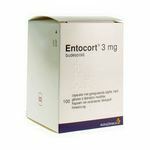 Entocort Entocort is an anti-inflammatory, antiallergic, glucocorticoid agent. It is glucocorticosteroid with expressed glucocorticoid and weak mineralocorticoid properties. 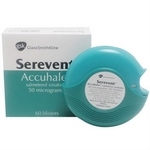 Serevent Serevent (Salmeterol) – sympathomimetic bronchodilator drug. It is used to treat severe bronchial attacks. It is appointed in the form of aerosol inhalation in a strictly fixed dosage. Seroflo Seroflo is a combined drug that contains salmeterol and fluticasone propionate, which have different mechanisms of action. Salmeterol prevents the occurrence of bronchospasm symptoms, fluticasone propionate improves pulmonary function and prevents exacerbation of the disease. 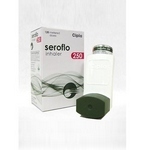 Because of the more convenient dosing regimen, Seroflo may be an alternative for patients who simultaneously receive a beta2-adrenoreceptor agonist and inhaled glucocorticosteroid from different inhalers. Bronchial asthma is a chronic inflammatory disease of the respiratory tract, characterized by attacks of dyspnea, which are often accompanied by coughing and can develop into bronchial attacks. It happens due to the fact that the airways over-react to various stimuli. In response to irritation, they narrow and produce a large amount of mucus, which disrupts the normal flow of air during breathing. Bronchial asthma occurs in people of all ages, but most often it occurs in children – half of them “outgrow” their bronchial disease. Now more than 300 million people in the world suffer from this disease which number is constantly increasing. The symptoms of this disease can be different: from a slight difficulty in breathing, wheezing and coughing to shortness of breath, chest tightness and attacks of breathlessness. When coughing, which is accompanied by wheezing or difficulty breathing, you should consult a doctor. If the diagnosis has already been established, but if you feel the necessity to use the inhaler more often than was prescribed, you should contact your doctor, as well. If symptoms increase or do not disappear within 24–48 hours, emergency medical care and hospitalization may be required. If the patient begins to suffocate, speech ability is arrested, then you should immediately call an ambulance. Asthma is caused by hypersensitivity to stimuli. This disease can be associated with both hereditary predisposition and environmental factors (including allergic factors or frequent respiratory tract infections). drugs such as acetylsalicylic acid and nonsteroidal anti-inflammatory drugs. If you have “aspirin-induced asthma,” you should avoid taking acetylsalicylic acid and nonsteroidal anti-inflammatory drugs, especially since this type of illness can be very severe and the seizures occur very quickly. What is the first aid for a seizure? Eliminate everything that may interfere with the patient’s free breathing, including by giving access to fresh air if you are in a vehicle or a closed room. It is necessary to help the patient to take the correct position: standing or sitting, to make the elbows apart in order to relax the respiratory muscles. Help the patient to calm down, if he is close to panic, to persuade him to breathe evenly. With a slight attack, you can help by making a bath for the hands and feet with hot water. If there is no such possibility – actively rub his hands until the ambulance arrives. This bronchial disease is chronic. If the onset of bronchial asthma took place, it was the very diagnosis that was established and confirmed by research, then supportive therapy is likely to be required periodically to reduce the risk of recurrent attacks and to relieve symptoms. For the treatment of bronchial dysfunctions in adults on the recommendation of the Genetic Information Nondiscrimination Act (GINA), there are several types of drugs. inhaled corticosteroids (ICS) are taken by many patients with such a diagnosis on a regular basis (every day) in order to achieve long-term control of the disease. long-acting beta-agonists are used in addition to ICS to ensure the expansion of the bronchi. combination drugs are combinations of ICS and long-acting beta-agonists in a single inhaler. 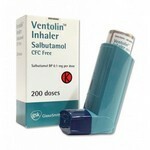 Due to the double effect, the symptoms can be relieved for a longer time and the number of asthmatic attacks decreases. Means for relieving symptoms in adults: apply short-acting bronchodilators. Drugs in this group cause the rapid, through active for a relatively short time, expansion of the respiratory tract, which helps to quickly remove the seizure. Many anti-asthmtic drugs are strictly prescription drugs, so if you have such a patient in your family, you should always have the right prescription with a valid period, just in case, take it with you on vacation. Nowadays, many means are used to relieve bronchial attacks. They differ in size, the method of the drug application and the type of this drug. 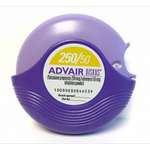 Powder inhalers with dispenser allow you to accurately enter the required dose of the drug. They are very easy to use, but they are more expensive than others. Liquid aerosols – the most inexpensive and commonly used inhalers. Nebulizers – using a compressor or ultrasound, break the drug into very small particles that reach the most remote areas of the respiratory tract. 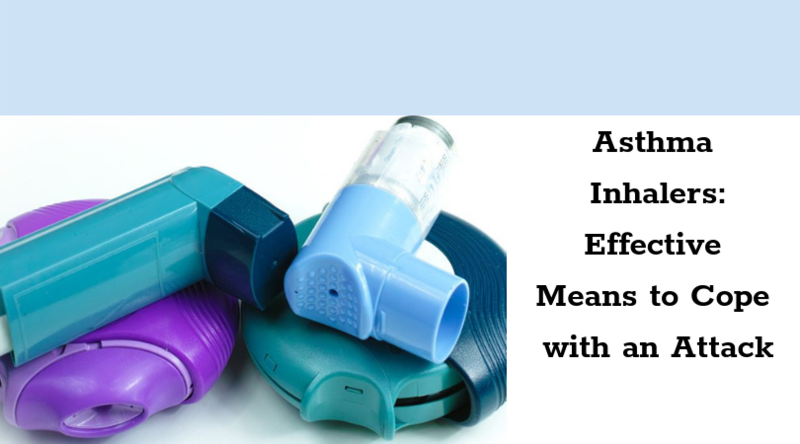 An adapter to a regular inhaler can also be used in stationary conditions. It is called a spacer which helps to deliver medication only while inhaling. Vapor inhalers use only volatile substances, the boiling point of which reaches 100°C, not higher. The most of these compounds are essential oils. Unfortunately, this point significantly narrows the range of compatible drugs used for inhalation. However, this is not the main drawback of steam inhalers, the main thing is the low concentration of the active substance in the produced steam. As a rule, this value is below the required rate for therapeutic effects. Ultrasonic and compressor inhalers are also known as nebulizers. The word “nebulizer” comes from the Latin language, where nebula means “cloud” or “fog.” These devices form an aerosol from a liquid drug under the influence of ultrasonic waves (ultrasonic nebulizer) or a stream of compressed air that is supplied under high pressure (a compressor or jet nebulizer). Every patient should select the aerosol with a doctor only. Self-medication may bring unfavorable damages to the overall health. In fact, the number of the main ingredients is not limited but choose it correctly for a better result. For a more convenient treatment of this bronchial condition, multi-component drugs are produced. They contain complexes for basic therapy, for the relief of symptoms, and sometimes the remedies of both groups at the same time. Buy asthma inhalers of a combination type online and cope with 2 main problems: arrest an attack and provide a long-lasting maintenance therapy. After each inhalation, it is necessary to wash the medication tank, mask and mouthpiece under running water using soap solution or disinfector. Details are dried thoroughly and only then put together. In the case when several family members use the same device, the nebulizer parts must be sterilized by boiling (the instructions should indicate that the parts can be boiled). In the majority of cases, all the aerosols for the treatment of this condition are dispensed with a private prescription only. Every patient’s condition should be assessed. The diagnosis should be carefully established. If the diagnosis is confirmed you are welcome to visit either an online pharmacy or conventional drugstore to buy asthma inhalers. 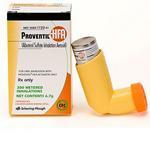 Online pharmacies may offer cheap asthma inhalers effective in your exact case. You may consider the best over the counter inhalers under doctor supervision only.